Attend this session if you are interested in learning how to increase the revenue from your event and decrease your stress! You’ll leave with a renewed passion for your event and tactics that work for you. You have the potential; Charlie Moon has the plan. How do you get to the next level in your career? How do you demonstrate to your peers, donors, upper management and the board that you are truly a knowledgeable fundraising professional? ​​​​​​​Thousands of fundraising professionals worldwide have boosted their salaries, career prospects and fundraising knowledge by becoming a Certified Fund Raising Executive (CFRE). Come to this session to learn more about the CFRE credential – what it is, what is can do for your career advancement, how it complements education programs for fundraising professionals, the application requirements and content and tips for taking the CFRE exam. Giving Tuesday has become a global "day of giving" to kickstart the holiday season and remind folks there's more to the holidays than crazy shopping and purchasing gifts. But what if your nonprofit hasn't seen fundraising success on Giving Tuesday? What if your organization's timeline for giving doesn't match up with Giving Tuesday? Consider starting your own more personalized Day of Giving! Lisa and Katie will share how Collegiate has structured its own Day of Giving the last two fiscal years and how you can perhaps do the same in your own organizations. Ed O’Malley is the founding President and CEO of the Kansas Leadership Center. A central belief of the Kansas Leadership Center is that leadership is an activity, not a position. Ed’s remarks will focus on what the exercise of leadership looks like for fundraising professionals and what makes leadership difficult. KLC’s unique leadership framework will be presented and attendees will see their own leadership challenges and opportunities through the lens of this framework. 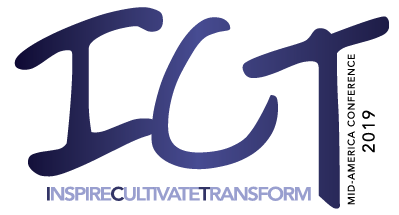 KLC is a one-of-a-kind organization, working to transform cultures of organizations across the state and increasingly across the country and beyond. Join Ed and your colleagues in an exploration of a provocative leadership framework designed to help you make more progress on your leadership challenges.